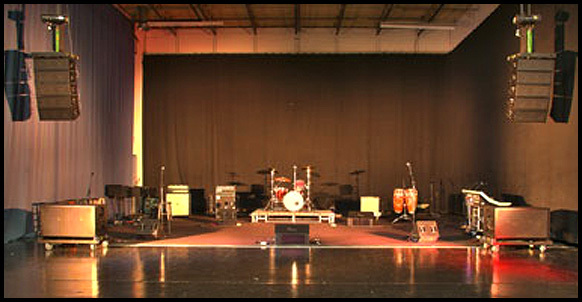 Opened in 1993, Soundcheck is the largest rehearsal studio complex in the world under one roof and is recognized as the rehearsal venue of choice by many touring and recording entertainers. Within the walls of this 126,000 square foot facility, there are 8 rehearsal studios, 15 industry offices, and one of the largest backline inventories in the Southeast. We also offer cartage services are also available. 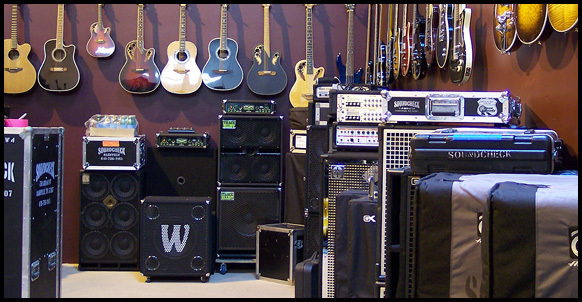 Soundcheck’s instrument rental department has become well known for its quality and reliability. In addition to our tour backline, Soundcheck also does the CMA Awards, the CMT Awards, the CMA Music Festival, along with many other music festivals throughout the region. Need your gear stored when you’re not on tour? We’ve got you covered! Also offered at Soundcheck is equipment and set storage. Our storage lockers range in size and are able to accommodate everything from a single musician’s inventory to an entire tour’s worth of equipment. Set cart storage is also available. In 2008, the owners of Soundcheck, Ben & Katie Jumper, expanded the facility to include the “740” Building. This expansion added 5 rehearsal rooms, 50 storage lockers, and 4 industry offices. The additional building on the Soundcheck campus has continued to grow, gain and maintain popularity over the years. The Soundcheck brand was expanded to Austin, TX in 2010 and Houston, TX in 2013.